Social media is a huge part of everyday life – both for the younger generation and increasingly their parents and grandparents. People who live in and visit our communities are no different, with smartphones and tablets growing in popularity. Of course, staying safe online is important. That’s why a group of 14 people from different Camphill Village Trust communities came together, to develop CVT Connect. 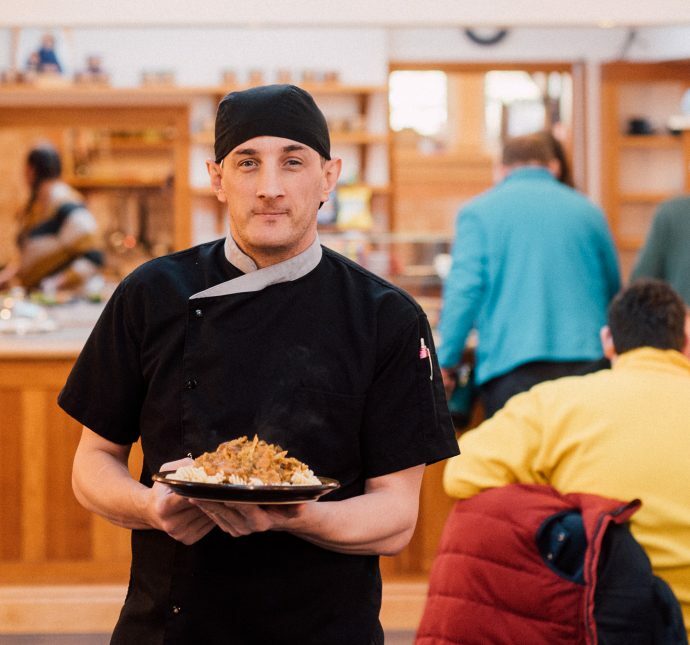 This secure website allows members of our community to connect with each other, share ideas and celebrate their successes together. 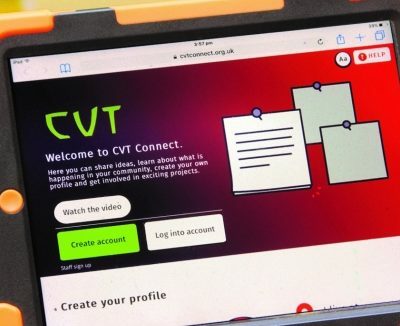 After the first trial of CVT Connect, the working group held a consultation to iron out any problems. Now they’re planning a relaunch of the improved version, with new ‘easy to use’ features. For example, anyone who finds remembering letters difficult can choose a picture for a password. And if you forget, the ‘reset’ button will alert a local member of staff who can help you get back online. This replicates a one-page profile as often used in peoples support plans or care files. Each user can choose who they wish to share their profile with including their friends and support workers. Users can create a shared wall around a theme or idea. People can contribute ideas by placing a ‘postie’ with either a photo, symbol, emoji, type their thoughts or attach a document. People can make plans to co-produce projects together even if they are in different locations. There is also a resource section where people can browse and select from a constantly updated digital library. The digital noticeboards ensure that people with disabilities have updated information that they need to enable them to make choices.